Tom Cruise plays a former military detective, a ghost drifter who is drawn into the role of lead investigator for the defense of an Iraq War sniper accused of a senseless shooting spree in Pittsburgh. As he digs deeper, he unravels the true motive for the killings and the web of intrigue surrounding them. 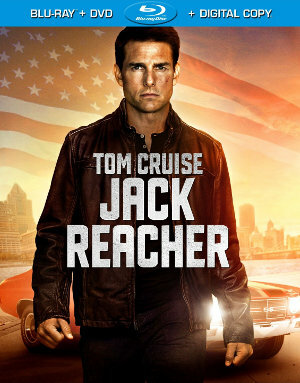 Jack Reacher is a competent thriller, and Cruise is convincing as a smart, tough ex-military hero. He exudes a certain intelligent menace despite his short stature (the Jim Grant books had him a lot bigger) and the story whips along. The bad guy, a disfigured Werner Herzog, is a treat, and the scene where he gives a man a chance to avoid execution is memorable. There are also some sharp exchanges in the script which, if not Dirty Harry, is subversively conservative. Still, the aim of the villains is weak (a construction company??? ); the late introduction of Robert Duvall as a sidekick for Cruise strains credulity; and the effort to mask the necessary killing in the cloak of a shooting spree is, upon reflection, wild overkill, the kind of gambit that would elicit the attention the bad guys sought to avoid. These weaknesses are forgivable, but when Cruise drops his gun to go mano a mano with his nemesis, the film veers into Road House territory, if only for a moment.